with this work antonella wants to pay tribute to the artists of her city, genoa. genoa is a city of great artistic traditions and culture. in its seafaring and commercial history, musicality and diverse cultures intertwine. such a lively and charming city could not but give birth to some of the some of the most extraordinary italian songwriters and musicians. 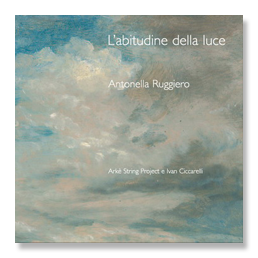 the pieces chosen by antonella are revisited by arrangements that utilize experimental electronics with samples by robert rich to the natural sound of the arch and the softness of the rhythm section made up by bass, guitar and drums. the californian, robert rich, one of the great musical revival theorists of the end of the nineteenth century, starting with ambient music and arriving at a universal sound language. his rich discography covers twenty years of experimenting, balanced between avant-garde and folk/popular music. in â€œgenova la superbaâ€� thereâ€™s a selection of universal pieces, timeless that combine well with contemporary sounds and the pop present in the album. apart from rich taking care of the arrangements thereâ€™s also antonellâ€™s well known collaborator: roberto colombo. 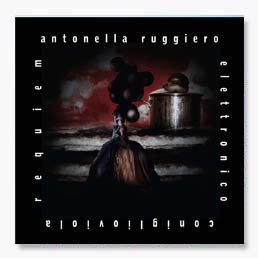 antonellâ€™s voice engage itself, interpreting pieces written/composed by some of the most important italian song writers. a selection in which extraordinary signatures appear: de andrÃ©, paoli, fossati,tenco, bindi, lauzi and the new trolls. 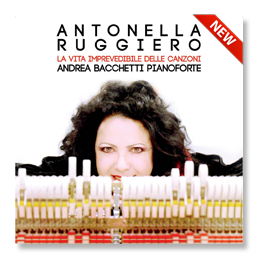 antonella has chosen, as well, to include a classic of the genoese traditional music: â€œma se ghe pensuâ€�. in the album there are some pupolar songs from â€œla gattaâ€� by paoli to â€œcanzone dellâ€™amore perdutoâ€� by de andrÃ©, as well as â€œguarda se ioâ€� by tenco â€“ and perhaps less known pieces nevertheless rich in charm and beauty. we rediscover this way in ruggieroâ€™s interpretation â€œho vedutoâ€� and â€œuna minieraâ€� by the genoese new trolls, â€œlâ€™ufficio in riva al mareâ€� by bruno lauzi or â€œluna nuova sul fuji-yamaâ€� by umberto bindi. we also meet a touching rediscovery of â€œanime salveâ€� composed by fabrizio de andrÃ© and ivano fossati, in a new and up-to-date version.